Scientists have been able to turn back the evolutionary clock about a hundred million years by successfully changing the beak of a chicken embryo into something closer to its Jurassic ancestor. A research team led by Yale paleontologist and developmental biologist Bhart-Anjan S. Bhullar and Harvard developmental biologist Arhat Abzhanov conducted the first successful reversion of a bird’s skull features. 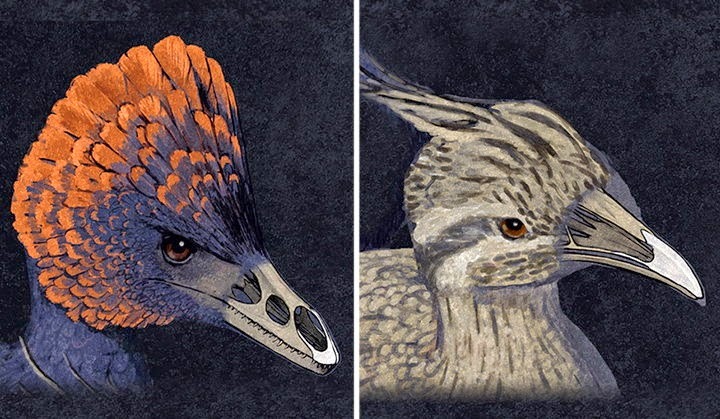 The scientists replicated ancestral molecular development to transform chicken embryos in a laboratory into specimens with a snout and palate configuration similar to that of small dinosaurs such as Archaeopteryx an Velociraptor (the small dinosaur species popularized by the Jurassic Park films and video games). But the research goes far beyond trying to transform chickens into dinosaurs, according to a Yale press release. “Our goal here was to understand the molecular underpinnings of an important evolutionary transition, not to create a ‘dino-chicken’ simply for the sake of it,” said Bhullar. For this study, researchers looked at gene expression in the embryos of emus, alligators, lizards, and turtles. The researchers discovered that both major living lineages of birds (the common neognaths and the rarer paleognaths) differ from the major lineages of non-bird reptiles (crocodiles, turtles, and lizards) and from mammals in having a unique, median gene expression zone of two different facial development genes early in embryonic development. This median gene expression had previously only been observed in chickens.